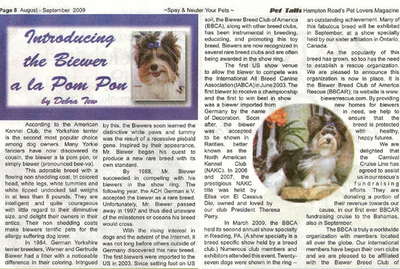 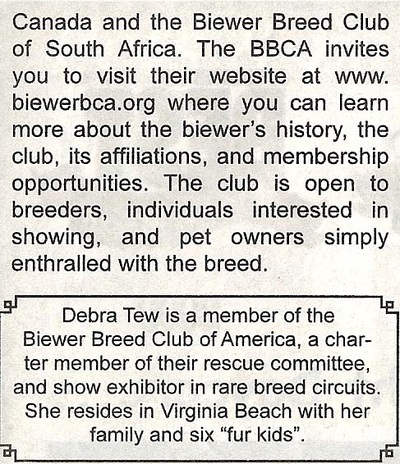 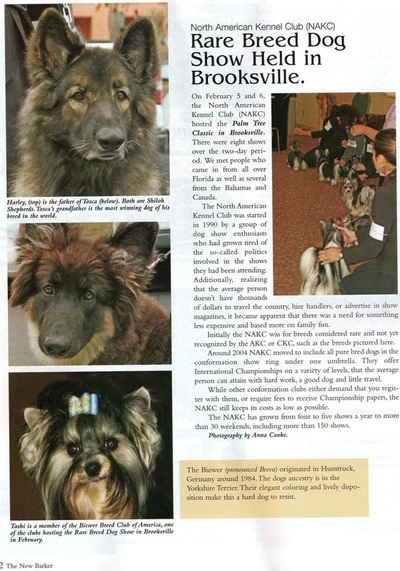 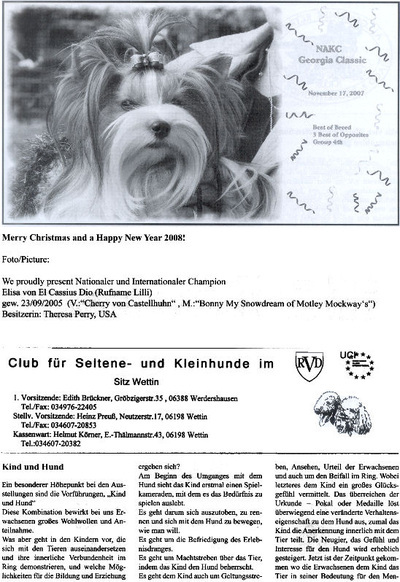 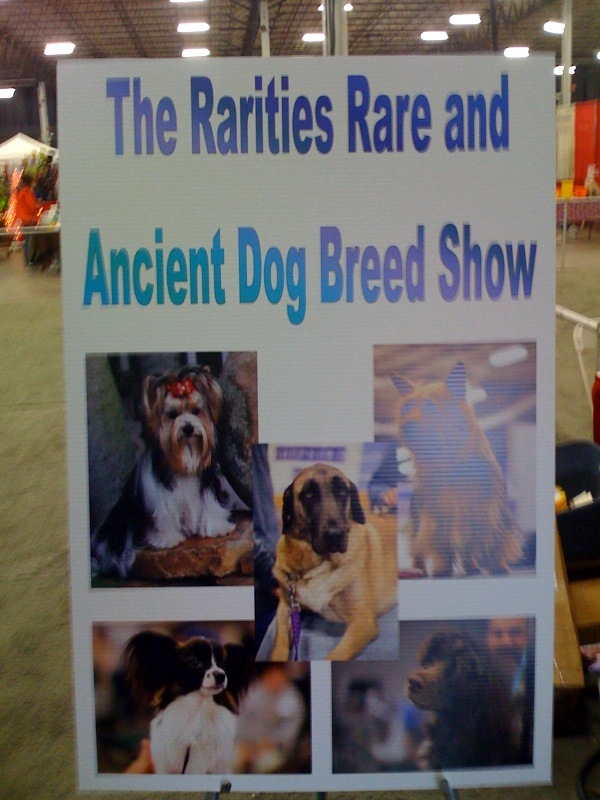 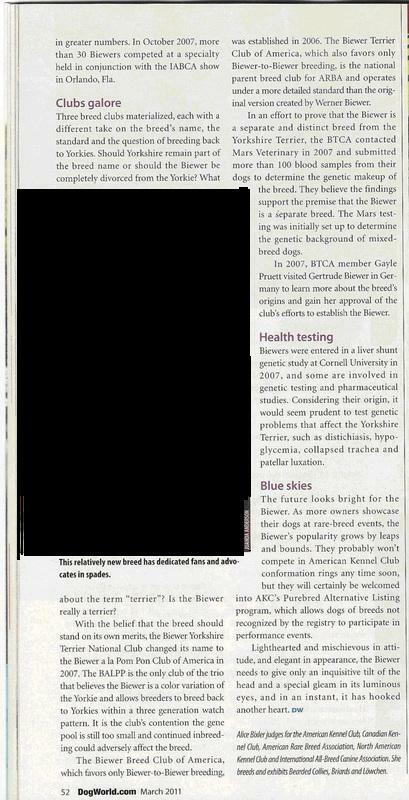 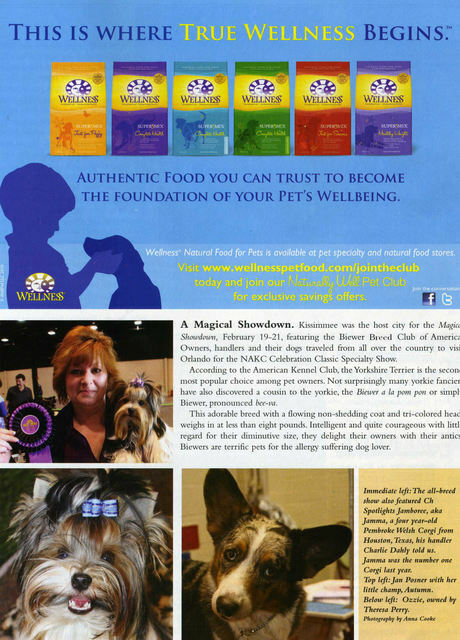 News & Publications "Biewers in the spotlight"
NAKC poster at New Hartford, CT Pet Expo. 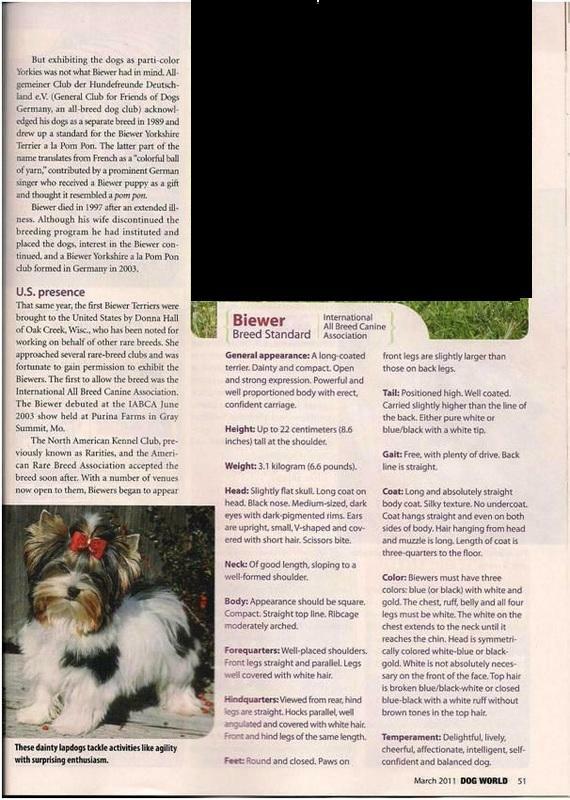 The New Barker magazine joined us for the festivities at our 4th annual Biewer specialty held in Brookesville, Florida. 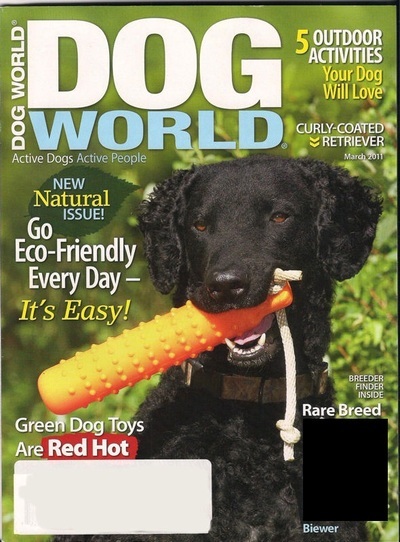 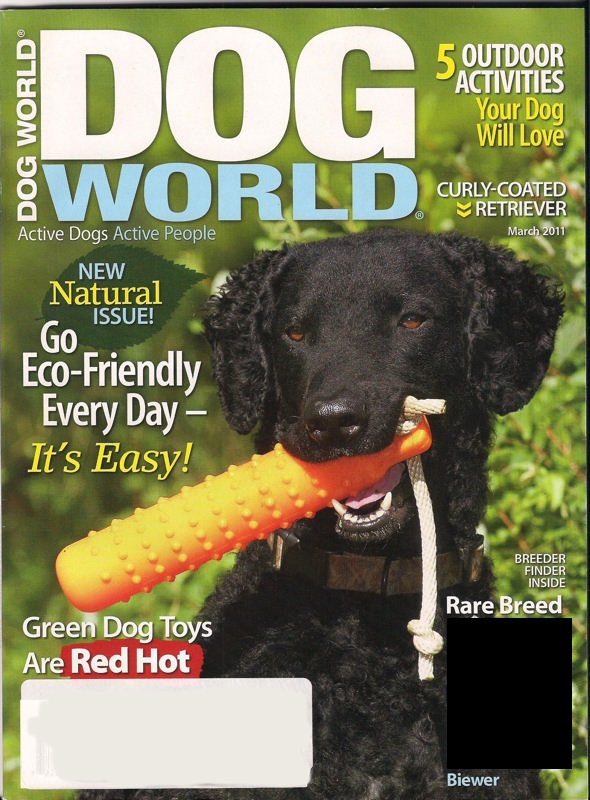 April 2011 Edition. 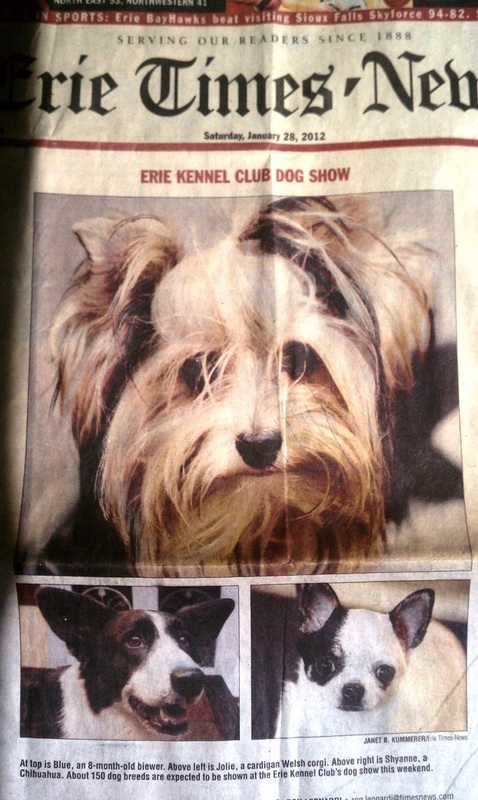 The Erie Times~ News featured Norma Jean Hiller's Biewer "Blue" on the front page of their January 28th 2012 Editon. 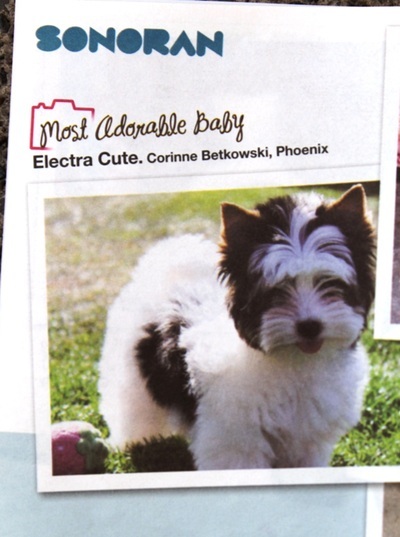 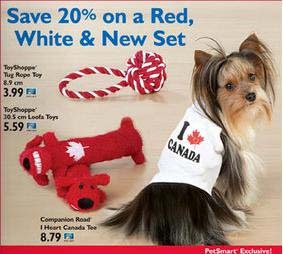 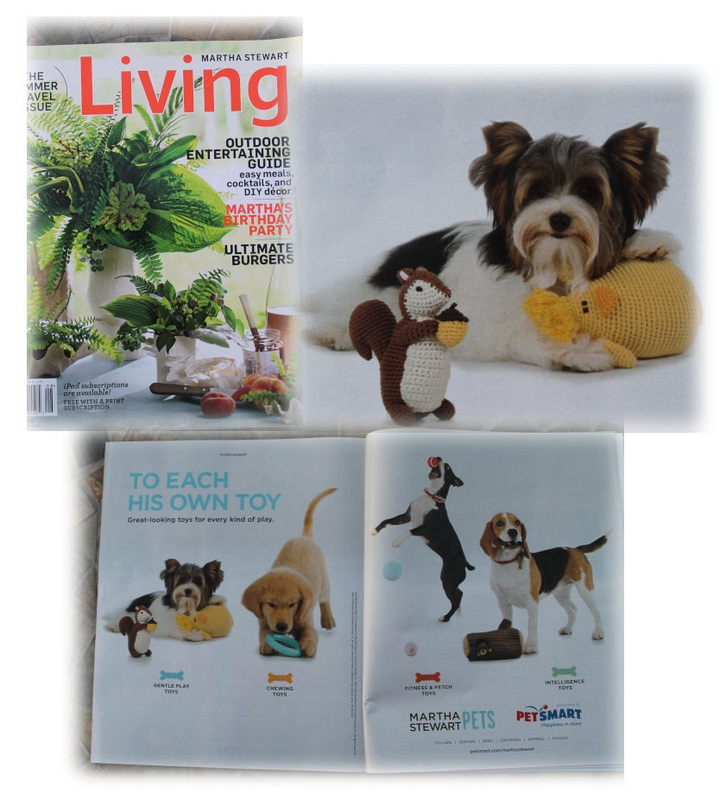 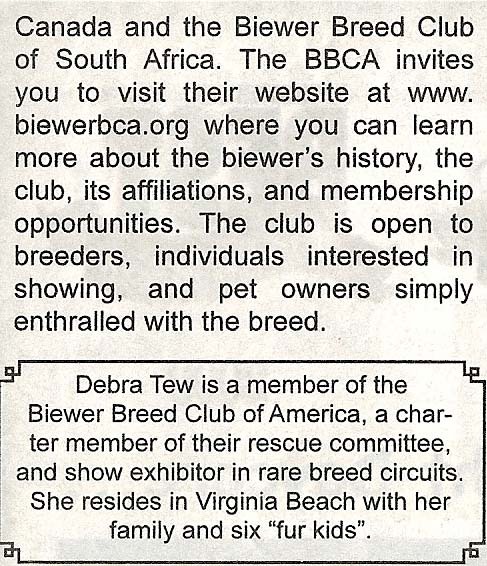 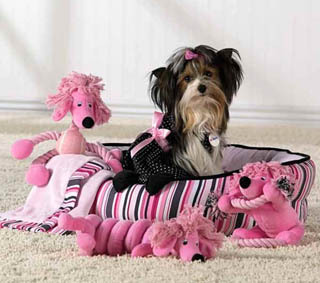 BBCA member Corrine Betkowski's Biewer "Electra Cute" was selected as a photo winner in the May 2012 edition of Tails Magazine. 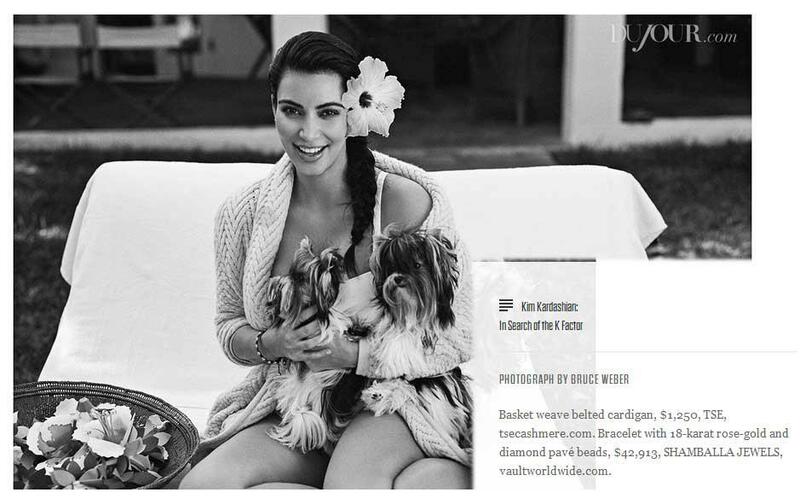 Dujour Magazine Feb 2013 In this photo shoot Kim Kardashin holds Biewers belonging to BBCA member Marjorie Williams. Martha Stewart magazine July 24th 2012 - Shows photo of BBCA member Corinne Betkowski's little Biewer "White Hot Ember"